»Community- based management»Flying the flag – but breaking the pump? One of the topics of discussion during this week’s Triple-S annual meeting was around harmonization of approaches to rural water supply between donors and governments. 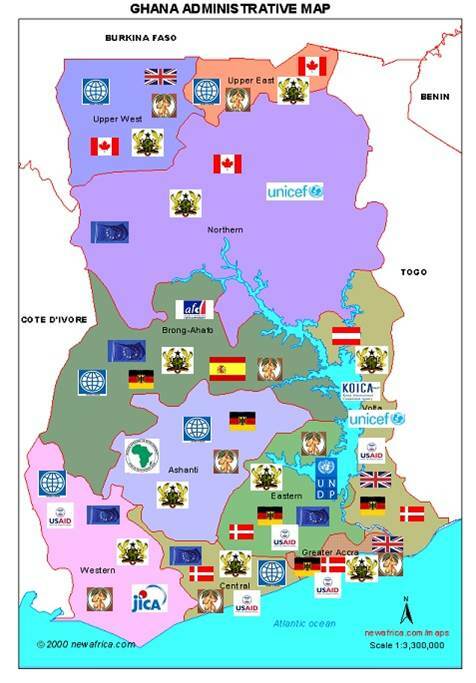 Presenting the experiences in Ghana, Vida Duti presented this nice map, showing which donors operate in which part of the country. One could interpret this map in a positive way; probably donors have come to some division of labour, all working in different parts of the country – even though some areas are quite crowded with donors, and this is even excluding NGOs. However, the real problem lies not so much in the presence of so many donors; but ensuring that they all follow the same – or at least similar – approaches, that align well with the ones developed by the government. This kind of flag planting is not limited to virtual maps; we see them also in the real World. We have all seen the signboards when entering a village with a text like “the water system in this village has been developed by [fill in name of donor]” , handpumps with a little metal tag with the flag of the donor country that financed it, or water committees all with the same t-shirt with in big letters [fill in name of the project that helped setting up the committee]. Not only external donors do this. It is also common to see commemoration plates at the storage tank with a text like “this water system has been developed under the administration of [fill in name of the President or mayor who was in power then]. Whereas I can understand that donors like to get some recognition and visibility for the money they contributed, it all becomes quite embarrassing when that pump is broken, or when the toilet block with the big signboard is the filthiest place in town. Not something any donor, or government, would like to have its name associated with. More problematic even is that this kind of flag flying may give the wrong message that the pump or water system was some kind of gift and that it belongs to the donor. How often does one hear references to “the EU pump”, “the mayor’s water system” or “the UNICEF toilets”? In spite of all efforts to provide communities with ownership – hopefully in the legal sense of the word and not just “the sense of ownership”- the kind of flag flying just reinforces the wrong message that it is the funder’s asset. This may in fact contribute to the break-down of pumps. I have seen many communities that are hesitating to repair the water system, as they are afraid to touch the donor’s pump or the Government’s storage tank. Or, they may actually sit and wait for the donor to come back, expecting that the donor would do the repair or replacement of their water system. It made me think on how this type of visibility is being done in my own country. And there it is always the service provider’s name and logo that is on all the assets. The treatment plant in the dunes not far from my apartment in the Hague has the name of the utility that operates it, even though it may not have covered all the investments into it. I don’t know the details of that treatment plant, but I wouldn’t be surprised if the initial investment was partially done with national or municipal funds. There is no sign to be seen that says “this treatment plant was developed under the administration of Mayor X or Prime-Minister Y”. And this is how it should be. I think flag flying could be done in a positive way that actually gives the message that was should be a given, and not a gift. What if the signpost at the start of the village would read “the water service in this village is provided by [fill in the name of the community-based service provider]”? What if the metal plate on the handpump would have the name of the water committee that maintains it, and not of the donor that paid for its installation? What if the commemoration plate at the storage tank would have the contact details of the municipality or district office that the community can go to for support or questions, rather than the name of the mayor who oversee the construction of the tank? I think that would do much more to create at least sense of ownership among the community, more pride among the water committee, and provide the real important information to the users, namely the details of its service provider and not of its infrastructure developer. My hypothesis is that water systems that would have such kind of visibility perform better than the ones that provide visibility to the infrastructure developer – maybe something to test in our Triple-S research? Donors and politicians don’t need to worry: there is much more pride in saying that the systems that were developed under your administration or with your money are performing well, than in having your name or logo put on a broken handpump or leaking tank. Very valid point Stef! Imagine if such flag-flying would happen on every service that is developed, be it water linked or energy, transportation etc. 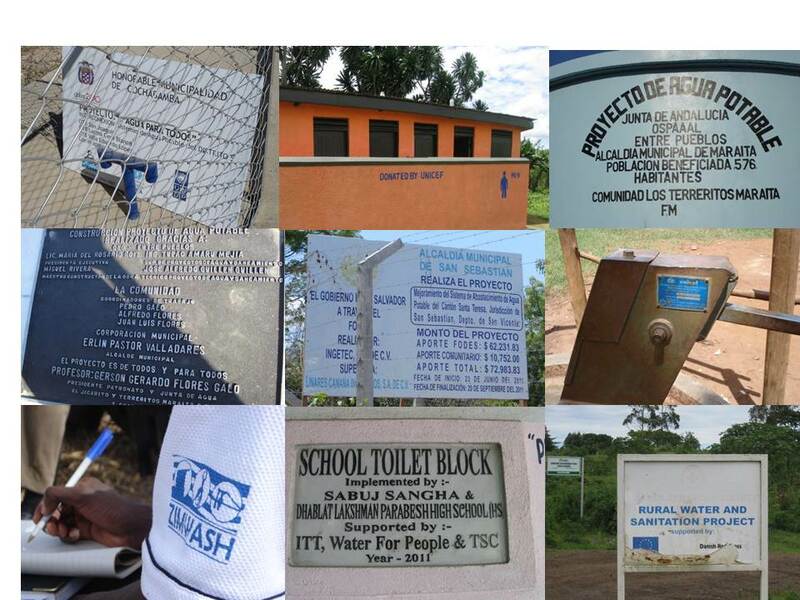 Like in construction of building projects, the donors can always put a sign during the development of the projects but take it off after completion. An Interesting post on donor’s seeking recognition by ‘flag flying’ on developed services, a practice which works against the idea of ownership by communities and it is embarrasing when those services do not function anymore. Imagine if such flag-flying would happen on every service that is developed, be it water linked or energy, transportation etc. 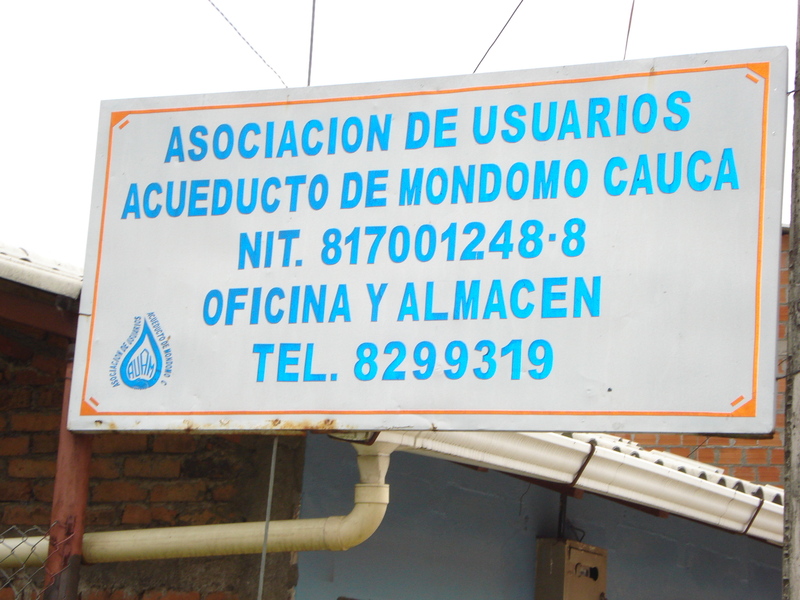 Perhaps, like with construction of building projects, the donors could put a sign during the development of the projects. At the completion of the project, the owner / maintenance organisation or community’s details should be the flag! Isn’t aid dependency rather than flag flying the main contributor to a lack of a sense of ownership and broken pumps? Not so long ago, 90% of the total investment in the sector in Ghana was made by external agencies (http://washurl.net/a4r276) – now it is still about a third, according to WaterAid. (http://washurl.net/7qya5i). Now that it is a lower middle-income oil-producing nation, it is time for Ghana to become fully responsible and accountable for its own sector. Let development aid focus on supporting this transition instead of paying for more (broken) pumps.